Put in the work with us and over time release your power. Our Beginners Class is a 3 week course that provides all new members with knowledge and skills necessary for attending our Regular Group classes in a safe and effective way. This is where you find out what you are capable of and how hard you can push yourself. We teach Mechanics first and then add in Intensity and Volume last. Our Beginners class is a place you will set baselines for weightlifting movements, learn your movement deficiencies and understand how to modify. Spaces are limited, reserve your spot now! Our nutrition program offers a consultation with ongoing monthly accountability check-ins where health and aesthetic goals are discussed and one’s current eating habits and diet are broken down and analyzed. We will help you construct a personalized macronutrient plan optimize your performance, aiding in weight loss and improving overall body composition. Weight measurements and BMI count will be done every 4 weeks with in the 12 week program. New To Work Over Time? Get 1 free week on us. 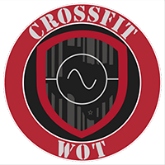 Our coaches will take you through a classic class format: dynamic warm up, skill training, WOD and cool down. Then, we can answer all of your questions, discuss your goals and get you started on the path to Elite Fitness. Call us at 512-496-8654 for any questions you may have. Discounted rate for athletes interested in working out 2 days a week with us M-F. Athletes also get to attend our Saturday work outs.